An adequate life insurance plan will generally cover about 8 years worth of salary. Be sure to search the internet for any complaints or problems that have been lodged against the company before you sign anything. 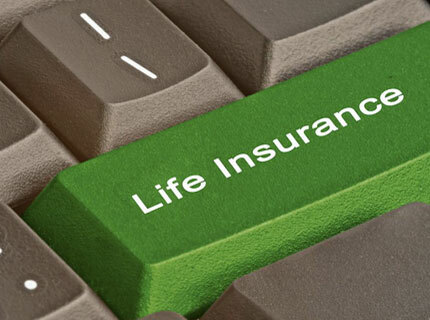 The settlement from life insurance should cover some of the lost salary, outstanding debts, and funeral costs. Without life insurance, you family could be stuck with the tab for you outstanding debts and financial responsibilities.would be forced to pay for these things on their own. Life Insurance - The Best Quotes? Nobody likes to think about death - especially their own. However, when looking for life insurance, it’s important to consider the impact that your death could have on your family. How much money would they need to get by without you? Would your life insurance cover the cost of your funeral, as well as any outstanding debts? If you don’t already have life insurance, then it’s important to find the right plan that suits your particular needs. To accomplish this, you need to consider some important facts about shopping for life insurance. While getting a high level of coverage is good, you don’t want to be stuck with a high monthly payment. If you can determine approximately how much coverage your family would need if you were to pass on, then you can work the monthly payment around that information. For life insurance, a general rule is to find coverage that equals eight years of your salary. Before purchasing insurance from a provider, do some online research. Have current clients of the company had any trouble ? What kinds of complaints have been lodged against them? Once you are satisfied with your choice, be sure to read the fine print, and choose the payment method (either lump sum or a more flexible plan) that works best for your family. Keep in mind that you can get an even lower rate on your life insurance if you bundle two or more insurance products together. Almost one-third of U.S. households (about 35 million) don’t have any life insurance at all. 56% of married parents believe that their current life insurance protection is inadequate. Get life insurance information delivered directly to your inbox.